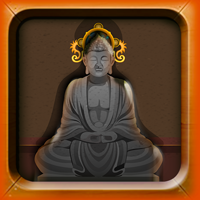 Description: 1973rd-HOLY ASHRAM is new escape game created by ENA Game Studio. Bruter went to the ashram which is located outside of the city. He needs to find his final object from the ashram.If Bruter failed to find it then he will be arrested. So, Bruter needs your help to find it as soon as possible. Collect hidden objects and solve puzzles.Hurry Up! Keep going on finding hidden objects.